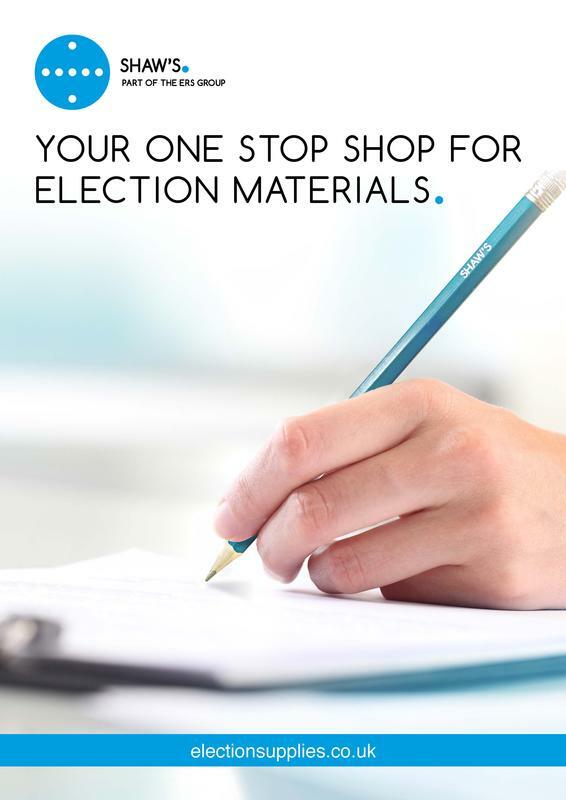 The team at Shaw's Election Supplies is delighted to announce the arrival of the brand new brochure containing numerous products, large and small, that have been designed to make the administration of elections and referendums as trouble-free as possible. The range of items has been developed over many years and Shaw’s work closely with the Association of Electoral Administrators, the Electoral Commission and the Cabinet Office to ensure that our equipment is practical, useful and conforms with all relevant legislation and guidance. Shaw’s welcome suggestions from electoral administrators for possible additions and enhancements to our product range. Contact us on 01322 621100 or view it below. We hope you find our products of interest!